Another aspect of running a smooth game is to make sure everything that needs to be prepared ahead of time is already taken care of. If there are any handouts, such as a campaign newsletter, a newspaper of current campaign events, or summaries of the last session, the GM should have them prepared beforehand, with enough copies for everyone that needs one. information on part of the game world. Example: I created a tri-fold brochure for Night Archer’s hunted, The Honorable Order of Humans Only (HOHO). He used to be the leader of the group, until they left him for dead and a superhero saved his life. If the GM wants to have pictures (either drawn, cut from a magazine, or photographed) of people, places, and things to show his players, they should obviously be readied ahead of time. Having a pile of pictures for possible NPC encounters is a great way to add a face to a name. Lots of magazine cutouts, clip art printouts, or hand-drawn illustrations can be stored in a folder until needed. Example: The heroes encounter a pawn shop manager and are trying to get some information out of him. One of the players asks what he looks like, so the GM reaches into his folder of unused pictures, and pulls out a picture of a portly, round-faced man wearing a navy blue T-shirt with lettering that has long since faded into unreadability. The sweaty man has red hair and a scruffy goatee. He seems to have part of a tattoo poking out of his shirtsleeve. Of course, the GM could always think up an appearance and describe the man verbally, but if the heroes have to go talk to him again in a few months, will anyone remember what he looks like? Even with a resident note-taker, its likely that not all of the visual details will have been logged. Why dont you take a picture? It’ll last longer! After the game (or at a breakpoint somewhere during it), the GM can write the name, job, location, and other pertinent information about the man on the back of the picture (if it’s a drawing or printout), or on a piece of paper with the picture attached (if it’s a cutout). If the group uses hex maps for combat, make sure a clean one is ready (unless, of course, the game is continuing from the middle of a combat last session). And have lots of figurines and counters available to pick from. If any game utilities, such as combat sheets, are used, have them prepared ahead of time. 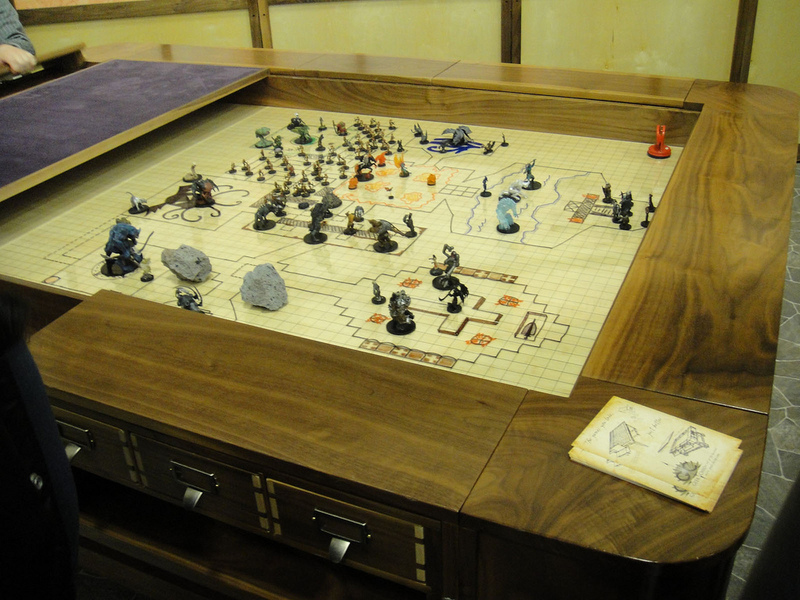 One of my GMs actually has two marker-erasable whiteboards in his gaming room to track combat sheets and other info. A GM who prepares for the game has more free time and energy during the game to run it well. A good GM is only half the equation for a good game. Part 2 will discuss good players. Game preparation advice could fill a mountain of books (Johnn Four’s Roleplaying Tips website is proof enough of that.) Have any of your own to share?